According to Indian Media report India has decided to put 20000 more troops on Chinese Border. Yesterday Security committee of Indian Government took the decision of shifting two mountain divisions near Chinese border. These two mountain divisions will be containing around 20000 troops. Security committee of Indian Government has also decided to made street in Border areas near China to make army vehicles to move. According to Security Experts India has took the decision of sending 20000 more troops on Chinese Border to improve the security on border with China. 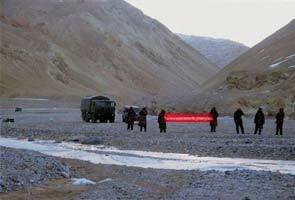 The Chinese Indian border is 4000 kilometers long.